Smell of acetone from the nose is a sign of development in the human body serious pathological process that can be associated with many internal organs. The correct diagnosis of the disease in the presence of a symptom may be carried out only by a specialist after a full examination. Smell of acetone from the nose is often regarded as olfactory hallucination, which is a serious symptom of problems in the brain. As a rule, the lesion is associated with disturbances in the function of the cortical analyzer caused by traumatic brain injury, pituitary tumors or temporal lobe. Olfactory hallucinations can also be caused by infectious lesions occur and subsequently the inflammatory process. In some cases, schizophrenia or epilepsy can manifest with the symptom. Smell of acetone in the nose is a concomitant symptom of diabetes. The symptom can also manifest as a result of problems with the liver, for example, with lesions of hepatitis A or C. Sometimes smell cause disease of the pancreas. Often smell of acetone in the nose of the patient may indicate problems with the urinary or biliary systems. It can occur with flu, panic attack, hysteria, or neurasthenia. Acetone can also be removed from the body, causing a smell in the nose. This phenomenon occurs most often in people who work in hazardous occupations or those who are long engaged in heavy physical exertion. Similar smell in the nose in people who are active in sports, is the result of decomposition of molecules of fat into glucose and ammonia. The latest, and causes the appearance of the symptom. Since this manifestation is typical for a large number of diseases, diagnosis can only be a specialist after diagnostic procedures. In the absence of patient complaints about the deterioration and the absence of other possible symptoms, your doctor may prescribe an MRI of the brain, to be able to diagnose certain tumors or inflammation. In some cases, you may be assigned echoencephalography. If the results of the analysis of the brain was good, your doctor may order tests of your urine and blood to diagnose other possible pathology. According to the research results it is possible to determine deviations in the functioning of certain organs and to appoint additional diagnostic procedure or treatment, if the diagnosis the doctor seems fairly accurate. After the treatment of the disease itself is a symptom of a smell of acetone from the nose disappear. To cure it is important to follow the instructions prescribed by a doctor. Causes irritation and discomfort the unpleasant smell from the nose. The causes of this disease may be different. In any case, to clarify the exact diagnosis, you must seek the advice of a doctor. 1. Bacterial infection. The smell of rot in nose may be indicative of various bacterial infections. Leaking, the condition is an allergic reaction. The main symptoms are: pain, blood, itching of the nasal cavity. 2. Problems with the upper respiratory tract. It happens that during the acute rhinitis mucosa of the nasal cavity swells up. Consequently, you can feel pus. They are accompanied by an unpleasant odor. In addition, a similar problem may face the patient with an atrophic or chronic rhinitis. Odor also cause the following diseases: complication of sinusitis, pharyngitis, sinusitis, laryngitis, chronic tracheitis, syphilis, diphtheria, etc. 3. Ozena. This disease is accompanied by hearing problems, dryness of the nasal mucosa. Ozena occurs when irritation and damage of the olfactory organs due to physiological disorders. 4. Violation of smell. 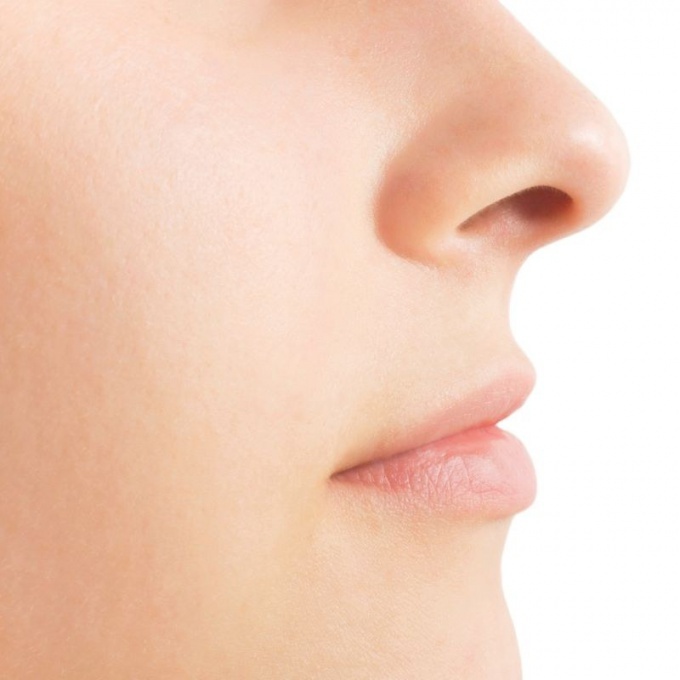 People who suffer from this problem, regularly negatively persistent smell from the nose. In fact it is not. This feeling occurs on the background of dysfunction of the olfactory system. Causes of bad smell from the nasal cavity can be caused by a number of diseases, for example, nervous and endocrine systems, bones, pancreas, kidneys, liver, gastrointestinal tract, etc. This disease may be associated with hormonal disorders, significant physical exercise, when quick weight loss, unbalanced and malnutrition, poor hygienic living conditions. At the first sign of an unpleasant smell from the nose immediately to seem LOR-to the doctor. Laboratory analysis and careful examination of the nasopharynx will allow more accurate diagnosis and prescribe the necessary treatment. In this case, an unpleasant smell from the nose will leave you forever. When respiratory diseases are the most effective endoscopic examination and computed tomography. After that, the doctor prescribes a full therapeutic course of, which includes analgesic, local physiotherapy and medication. In difficult and critical situations, as a rule, should be treated by resorting to operations. In this case, an unpleasant smell from the nasal cavity to eliminate by surgically removing the pus from the places where it has accumulated. This alarming symptom, in any case can not be ignored. One should not self-medicate. Timely medical attention will help to quickly and effectively eliminate unpleasant odor from the nose.